All About Wrapping Your Dreadlocks: Welcome to all visitors!!!!! 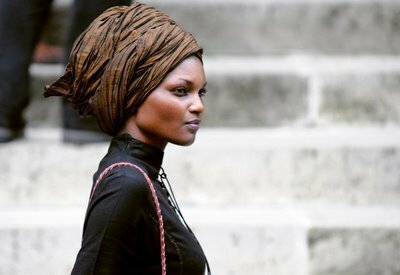 This site offers tons of resources on the art and joy of wrapping your locks. This site focuses on the fundamentals for wrapping your dreadlocks. The beauty, the hows, and the various ways of doing it. Tell your friends, co-workers, & family members about our great site and services. Feel free to visit my other blogs, tell a friend and to become a follower!!!!!!! The images on our site are from diverse sites & other people. They are simply pictures meant to demonstrate particular beautiful hair styles on various kinds of people from different backgrounds and to celebrate locked hair. The pictures do not belong to us. 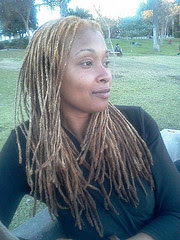 Ten Nebula is a loctician and styles/starts dreadlocks for all hair types (i.e. afro-textured, curly, wavy, straight, bone straight) and specializes in natural black hair. She has been doing dreadlock work for over 10 years.She has been growing her own locs for over 4 years.She runs a hair locking business "Lovin My Locs Hair Services". treatments, workshops, and trainings. To receive in-person healing treatments, clients must be local.We also offer monthly specials, so check out our online calendar. Practice Karma Yoga Today. Make a love donation to support Ten Nebula's work. Thanks kindly!!!! Give $10, $50, $100, or $1,000. Do you live in another state? Do you live in a smaller town? Do you need someone to talk to about your dreadlock questions? Do you need some professional advice on the best way to care for your locks? 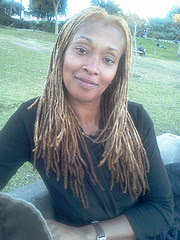 I offer 1-hour dreadlock consulations for $60.00. Feel free to email me to make an appointment. how to create money abundance in your everyday life. This site is dedicated to all people (p/p/f) who wear thier dreadlocks with love, health, grace, and beauty.